View passing ships with your very own submarine periscope! 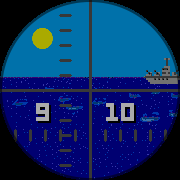 Sun/moon and ships move slowly across the screen throughout the day, so the time can been seen through the scope even with the clock turned off. Sunrise and sunset are at 6am/6pm, with the sun or moon directly above at midday/midnight. Ships sail slowly across the screen from right to left each hour so minutes can be roughly guessed at. Available for all colour Pebbles but looks best on the Pebble Time Round. Posted on March 20, 2017 March 20, 2017 Categories Pebble appsLeave a comment on Dive! Dive! Dive! 4 player dot munching, button mashing fun! Up to 4 players at once on a single pebble, or play on your own against CPU piggies. Posted on March 9, 2016 March 9, 2016 Categories Pebble appsLeave a comment on Greedy Greedy Piggies! Channel launcher and eyes-free remote control for Roku and NOW TV. Browse NOW TV Movies and Entertainment listings, BBC iPlayer, and YouTube from your Pebble. Search by voice (supported models only) or by using Tertiary Text on older models. 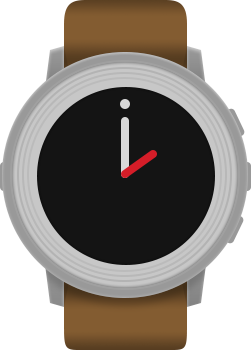 The motion tracker from Halo 3, 4, and 5 recreated as a dynamic Pebble watchface. Motion tracker turns as you turn! Which Tinyhead will you create? Choose from a selection of hair, eyes, noses and mouths to create your own pixel art style Tinyhead watchface. Digital time displayed on a flick of the wrist, or for those wanting an easier view of the time analog hands can be shown over the Tinyhead. 15/12/16 – Santa hat update. Because everything looks better in a santa hat. 8/10/16 – Halloween Update. Spooky features to create vampires, werewolves, ghouls, pumpkins, monsters, and more! 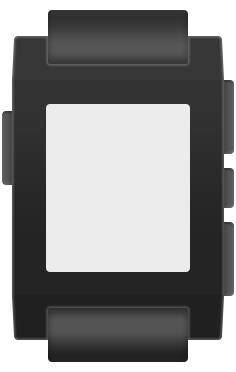 The Colonial Marines motion tracker from Aliens recreated as a dynamic Pebble watchface. Two player lightcycle action on a single Pebble. 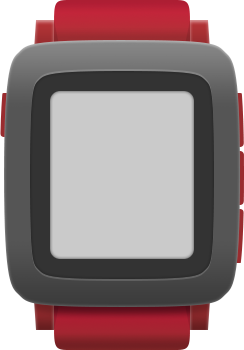 TinyTron overrides the back button functionality, to quit press and hold Back or wait until exit is displayed on the splash screen. Note: TinyTron was formerly known as PebbleTron. Ported from the 2004 GP32 classic. Any button to thrust up! 5 speed and 3 gap settings! Fly down a tunnel for no reason!